'Tis the season for berry lips. Fall is one of my favorite seasons out of the whole year. I only wish that Southern California could be up to pace with the rest of the USA when it comes to it! We've been lucky here the past few days to have clouds and rain, but we're soaring back up into the heat starting tomorrow (sigh). One of the reasons why I love Fall is that you can go about wearing a dark lip and not have a care in the world. You can do that any time of the year, of course (! ), but Fall allows those who may not have the confidence to wear dark lips join in with the abundance of makeup lovers who are happily wearing them. Personally, I'll rock a dark lip any time of the year, that's just my own style! 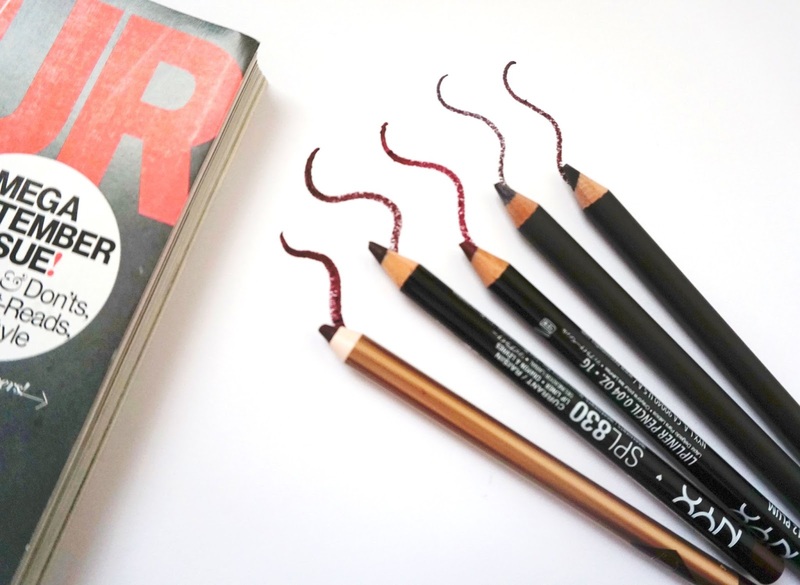 I thought that I'd introduce on the blog my five favorite berry lip liners! I don't have a huge assortment of them but here are some I've really loved throughout the years and ones that I've recently picked up. Now, they may sort of look the same but they are different, I promise! Berry Naught is a true berry and has a very creamy formula. I recently picked this up as Charlotte has brought over more of her makeup line to the USA. This Lip Cheat especially is great paired with her Matte Revolution, Glastonberry, which is a gorgeous dark and vampy lipstick. I've found that Charlotte's Lip Cheats really don't last very long on the lips (tops would be 3-4 hours without drinking or eating), so keep that in mind if you're wanting to buy some and hoping that it lasts through a good 9-to-5 workday. They are very luxurious and I currently own five of them, so regardless of the lack of staying power I really love them. 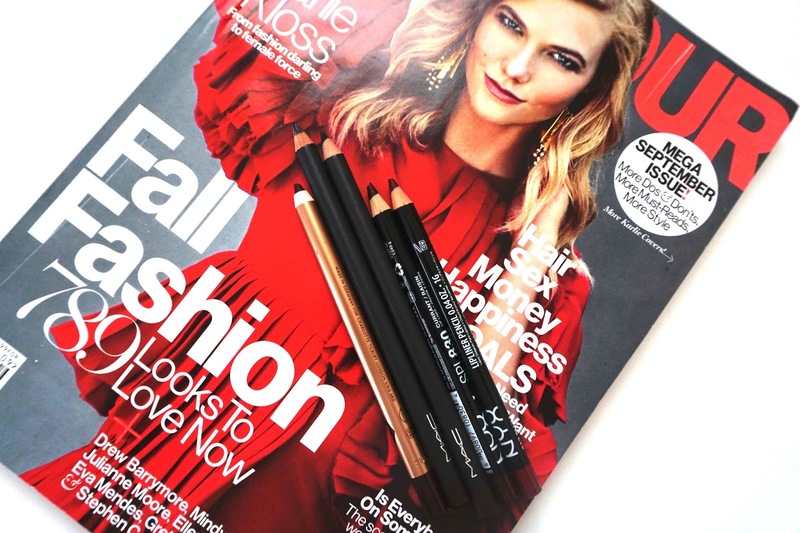 NYX lip liners are a great drugstore alternative and I've found that the quality of their lip liners are really amazing. They are creamy yet strong enough to stay on the lips without bleeding or losing their pigmentation. Currant/Raisin is a true dark vampy color and Plum is more of a red-toned plum + berry color. These last an average amount of time (over the 5+ hour mark) and have a great range of colors. I like to pair Plum with some of my darker mauve lipsticks and also some of my darker lipstick colors. MAC lip pencils are really at the top of the tier. Most of my lip pencils are from MAC and if you're willing to shell out the money I definitely would try any of their lip pencils. Vino and Currant are both great vampy and berry colors. Vino is more of a true dark berry and Currant is more of a red-toned berry color. Currant and NYX's Plum are very similar in color, but Currant is a tad bit deeper than Plum. They definitely are more on the dry side and if you have sensitive lips I would be careful using them. These last more than the average amount of time (8+ hours) and one time I went to sleep with Currant on and it was still holding strong! If you want longevity and great pigmentation, I would go with a MAC lip liner. 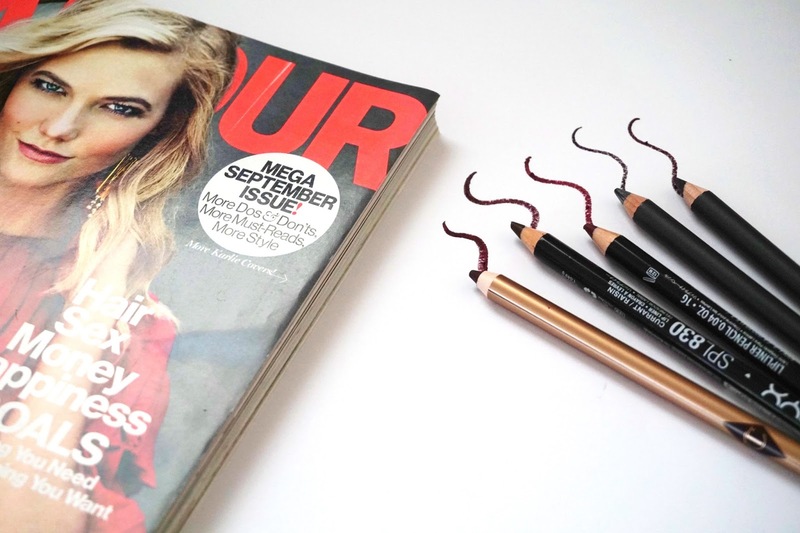 Nightmoth is probably the most popular out of the dark lip pencils MAC has, I'd also look at getting that one as well (I've lost it somewhere so couldn't include it in this!). These are my picks! 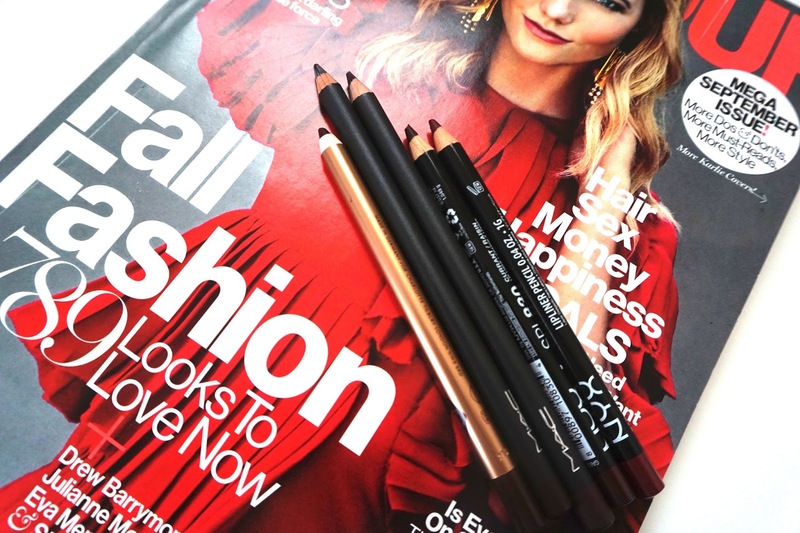 What are your favorite berry lip liners for Fall?